The Park covers 276 acres and is situated to the south east of Gloucester City Centre, adjacent to the M5 Motorway. The site upon which the Park has been developed was formerly the factory and test airfield for the Gloster Aircraft Company, famous for building the Hawker Hurricane during the 1940s and the Gloster Javelin during the 1950s. 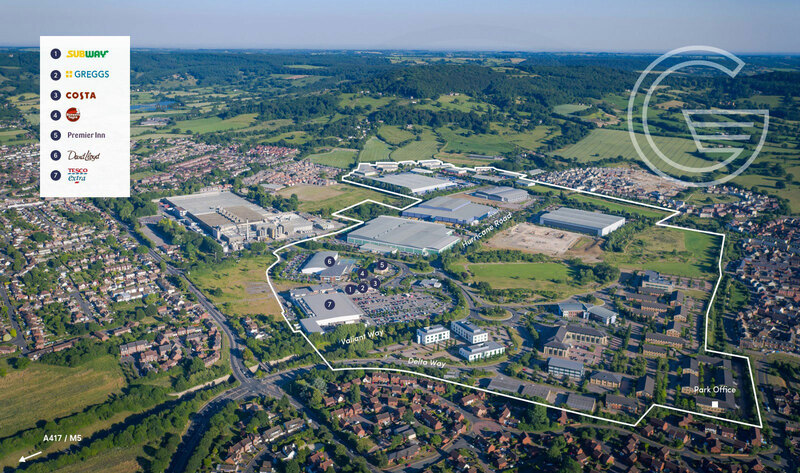 The airfield ceased to be operational in 1962 and Arlington began developing the Park in the early 1990s based on a mixed use outline planning consent allowing for the delivery of office, industrial, residential and retail uses. The Park provides an unrivalled amenity offer including a Tesco Superstore, Costa Coffee, Subway, Greggs, Premier Inn Hotel, Whittle Inn Restaurant and a David Lloyd Racket & Health Club.